As reported by Moto USA (via /Film), Triumph Motorcycles will be auctioning off the bike—which is a Triumph Scrambler—on eBay this week, with the proceeds going to support The Distinguished Gentleman’s Ride, an annual motorcycle event that raises money for prostate cancer research. 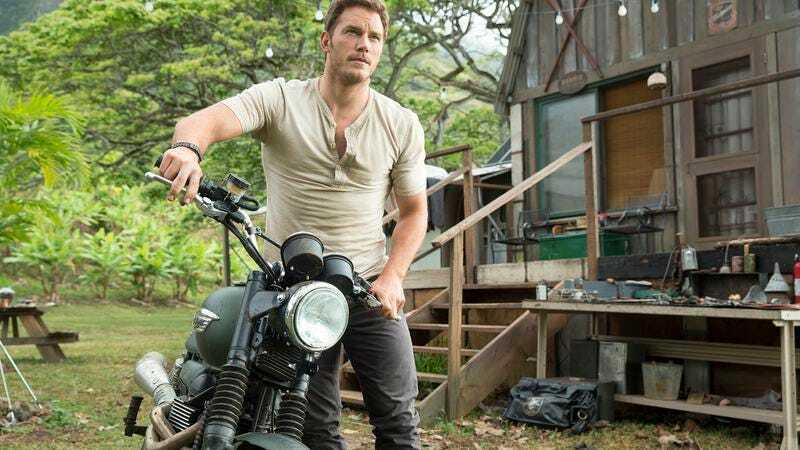 Three motorcycles were made for the movie, with one going to Pratt after filming, one being enshrined in Triumph’s headquarters, and the third possibly going to you, if you’ve got enough money to outbid every other Chris Pratt fan in the world. The auction won’t go live until Thursday, but here’s a link to an eBay search for “Jurassic World motorcycle.” Right now it’s mostly Lego pieces.